If you&apos;ve been wondering what became of Gotye since the smash success of "Somebody That I Used to Know," look no further than Australian politics. 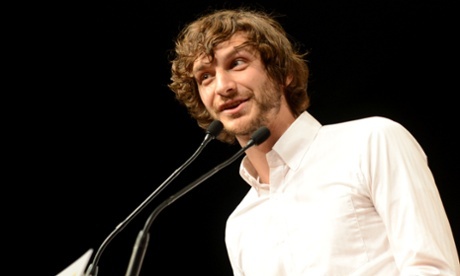 Wally De Backer and his band The Basics, made up of bassist Kris Schroeder and guitarist Tim Heath, are creating their own political party, calling it the Basics Rock &apos;n&apos; Roll party. In what they’ve revealed of their platform so far, the movement is centered on three pretty awesome tenets: innovation, education and rock &apos;n&apos; roll. It sounds absurd, and it is, in fact, a little absurd. But the Basics have strong ideas. They will seek to reform the education system by improving the school systems of indigenous Australians and promoting programs to teach indigenous culture to white Australians. They will also increase funding to children’s music programs and improve rural residents’ access to live music and musical facilities in order to turn Victoria into a thriving music scene and address its long-standing problems with the indigenous population. All they need is 500 signatures from Australian voters and The Basics will have an official spot on the ballot. They already have 300, and their most recent political article post has earned them 772 likes on Facebook. In all likelihood, they’ll soon be an official political party. And then from there? Straight to the top: a run at the federal government. “A lot of the issues we’re discussing are really federal issues,” Schroeder said. “I can see that being an arena for the future." It&apos;s pretty surreal to see a global pop act making such a serious foray into politics under such a goofy name, but they mean very well, and it seems they really know what they&apos;re doing. There’s definitely something to the Basic Rock &apos;n&apos; Roll party’s platform. Indigenous rights have long been overlooked in Australian politics, and music education is an excellent way to improve children’s cognitive development and create a stable economy. Maybe this whole campaign isn’t as goofy as it seems. Maybe The Basics’ foray will mark a real change in Australian politics. At this point, only time and vote count will tell.